I was attracted to this piece because of the color of the fabric. I like working with something different from the standard antique white. My wife thinks the fabric is gray and it looks a little brown in the picture, but it actually has a green tint to it. I have been working on this for a few weeks now. Stitching has gone pretty quickly. Tonight I put in the last cross stitch. 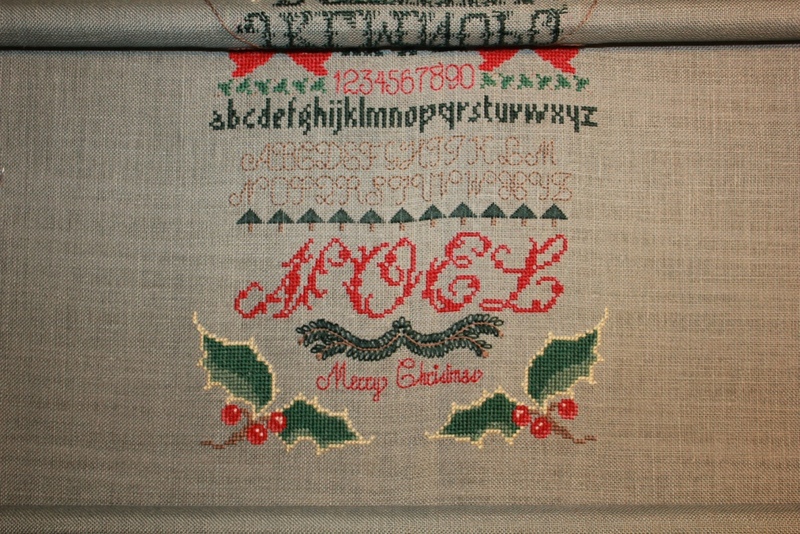 All that is left to do is backstitch to outline the bottom holly leaves and to also put in some tendrils running up the sides to the brown alphabet. I would have done more but tonight was scouts. So I spent most of the time at the church with a bunch of twelve year olds.